Born: 10 December 1848, Fochabers, Moray, Scotland. Died: 10 September 1916, Llandrindod Wells, Wales, United Kingdom. James Sivewright, telegraphist, politician and financier, qualified as Master of Arts (MA) at the University of Aberdeen in 1866. He then taught for three years in Blackheath, England. In 1869 he won the first place in Great Britain's telegraphy examination and during the next eight years worked in telegraphy in England. Such was his expertise that seven years later he was co-author with William Preece* of the definitive textbook Telegraphy (London, 1876). He furthermore became the editor of the Journal of the Institution of Electrical Engineers when it was founded in 1872. However, despite his undoubted talents he published very little. Sivewright came to the Cape Colony in April 1877, following a request by its government for an expert to report on the colony's telegraphy. During the next four years he developed and organised the telegraphic systems of the Cape Colony, Natal Colony, the Transvaal and the Orange Free State, and became general manager of the systems of the first three of these territories. He also developed telegraph communications during the Anglo-Zulu War of 1879, for which he was honoured as a Companion of the Order of St Michael and St George (CMG) in 1880 and became the only non-combatant to receive the South African Medal with three clasps. A paper by him on "South African telegraphs" was published in the Journal of the Society of Arts in 1879. Sivewright was an early member of the South African Philosophical Society (founded in 1877). He was elected a member of its council in 1878, serving to about 1886. In March 1878 he read a paper before the society, "On a proposed overland African telegraph", a project which he favoured over an undersea cable and which later received the support of the imperialist Cecil J. Rhodes. The paper was published as "A trans-African telegraph" in the society's Transactions (Vol. 1(2), pp. 1-12) and also as a pamphlet. A few years later he delivered a public lecture for the society, "On electricity" (1881). His membership of the society lapsed during the late 1880's. In 1885 Sivewright's office was abolished and he turned to politics, joining the Cape Town branch of the Afrikanerbond in 1887. He helped to secure this organisation's support for Rhodes's premiership of the Cape Colony. As a close associate of Rhodes he became commissioner of Crown Lands and Public Works in Rhodes's cabinet during 1890-1892 and later in Sprigg's cabinet until 1898. In 1891he obtained the approval of the Orange Free State for the extension of the railway from Bloemfontein to the Vaal River. In December that year he concluded the "Sivewright Agreement" with the government of the Transvaal, which allowed the Cape Governemt Railways to extend its line to Pretoria and fix the tarrifs over the whole distance. The agreement lapsed after three years. For these diplomatic achievements he was made a Knight Commander of the Order of St Michael and St George (KCMG, 1892). The University of Aberdeen furthermore awarded him an honorary Doctor of Laws (LLD) degree in 1893. Having made friends with President S.J.P. Kruger of the South African Republic (Transvaal) he gained a concession from the government in 1887 to lay water pipes in the streets of Johannesburg and supply the town with water. He formed the Johannesburg Waterworks, Estate and Exploration Company, known as the Waterworks Company, in 1888. Its water supply was both expensive and inadequate for the growing town, until B. Barnato acquired a controlling interest in the company. 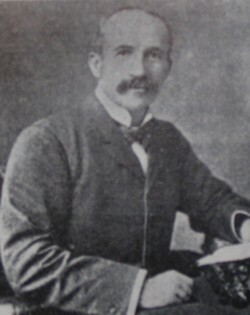 Siverwright became a director of Barnato's Johannesburg Consolidated Investment Company and maintained financial investments in South Africa for the rest of his life. His controversial political career in South Africa ended when he returned to Scotland in 1898. In 1880 he married Jane E. Page, daughter of a Bloemfontein merchant, but they had no children. Sivewright had wide interests. For example, he was president of the Mountain Club of South Africa around 1893-1894 and of the Cape Town Cycling Club. In 1879 and 1882 he was an examiner in science for the University of the Cape of Good Hope, setting papers at the BA level in algebra, chemistry, and electricity and magnetism. When the South African Society of Electrical Engineers was founded in Johannesburg in 1897 he was chosen as its first president, even though he resided in Cape Town and would be unable to attend its meetings. The society lapsed at the outbreak of the Anglo-Boer War towards the end of 1899. General directory and guide book to the Cape of Good Hope and its dependencies..., 1879-1887. National Union Catalogue, pre-1956 imprints. London: Mansell, 1867-1925. Pask, T.P. An historical note of 1897. Transactions of the South African Institute of Electrical Engineers, November 1930, Vol. 21 (11), pp. 240-243. Shorten, J.R. The Johannesburg saga. Johannesburg: J.R. Shorten, 1970. South African Philosophical Society. Transactions, 1877-1887, Vols 1-4.$ Standard encyclopaedia of southern Africa (SESA). Cape Town: NASOU, 1970-1976.
Who was who, Vol. 2, 4th ed. London: Adam & Black, 1967. University of the Cape of Good Hope. Calendar, 1880, 1883.